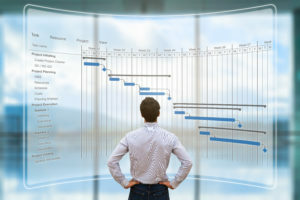 Program management is the application of knowledge, skills, tools and techniques to meet program requirements. It is different but complementary to Project Management which also requires the application similar skills on a more detailed level to successfully manage deliverables. Spartan Technologies’ Program and Project Managers are organized, passionate and goal-oriented. They understand and can implement the latest trends in software life-cycle development including Agile. Our Program and Project Managers are change agents who take their roles personally and seriously to inspire a shared purpose within the project team. They enjoy the challenges that every new project provides and the responsibility associated with creating deliverables that drive business needs. They work well under pressure and while rigid to methodology are flexible enough to understand that priorities and requirements can and do change over time in most dynamic environments. They easily shift between the “big picture” and the small details and know when to concentrate on each. Spartan’s Program and Project Managers have a technology focused background that allow them to communicate effectively with both the most technical person on the team and the C-Level executives who have Program ownership and responsibilities. With both the soft skills to facilitate effective communication and the technical skills to roll up their sleeves and assist with architecture decisions, Spartan’s Program and Project managers are well positioned to help our clients deliver their Projects and Programs on time and under budget.